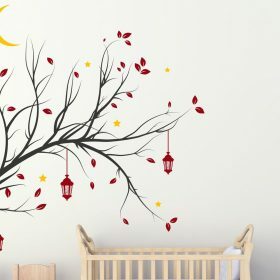 This beautiful tree branch with hanging lanterns and moon is a truly unique and oriental feeling wall sticker. 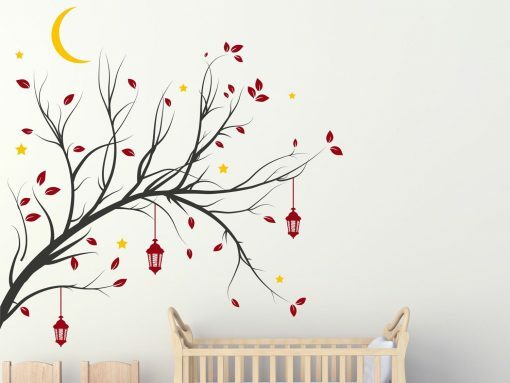 This beautiful tree branch with hanging lanterns and moon is a truly unique and oriental feeling wall sticker. 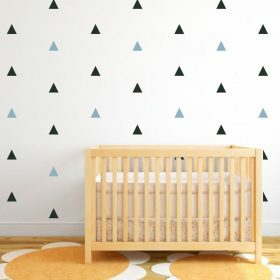 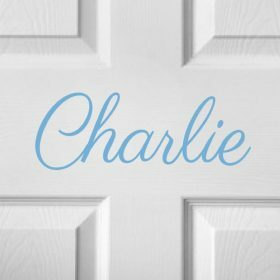 This wall sticker looks great in the nursery, bedroom or even as a feature wall in your family room. 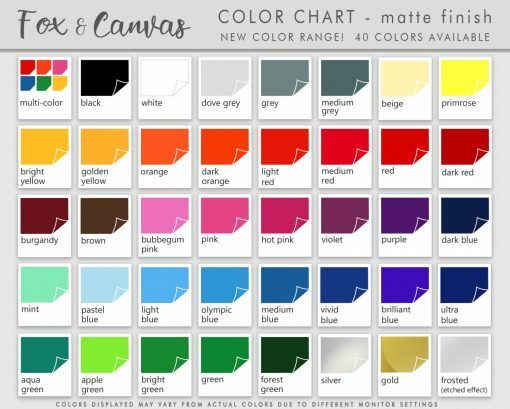 Items come on individual sheets allowing you to apply whatever elements fit the mood you’re creating. 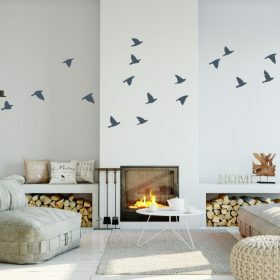 Size is based on the wall sticker positioned like image listing. Overall size (approx) 60″ wide x 60″ high. 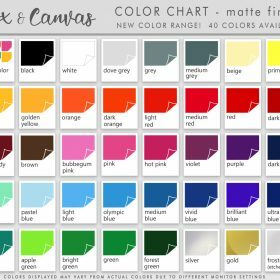 (Actual width will vary depending on where you choose to position your leaves and stars – get creative!). 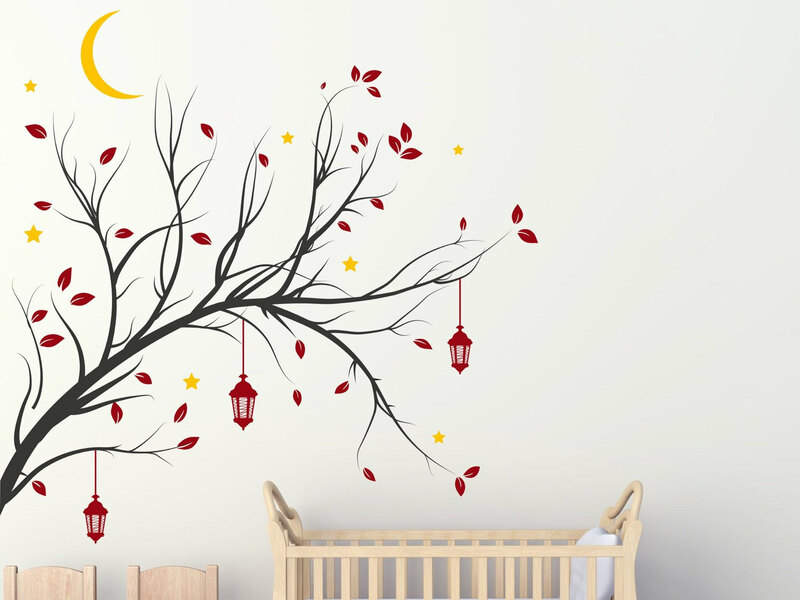 Branch extends from wall, so it can be positioned off the ground to give a large wall effect.